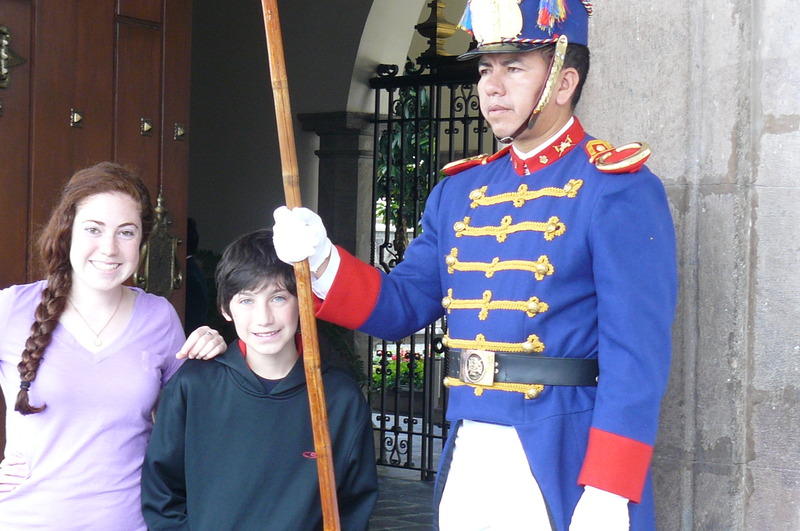 We loved Quito. 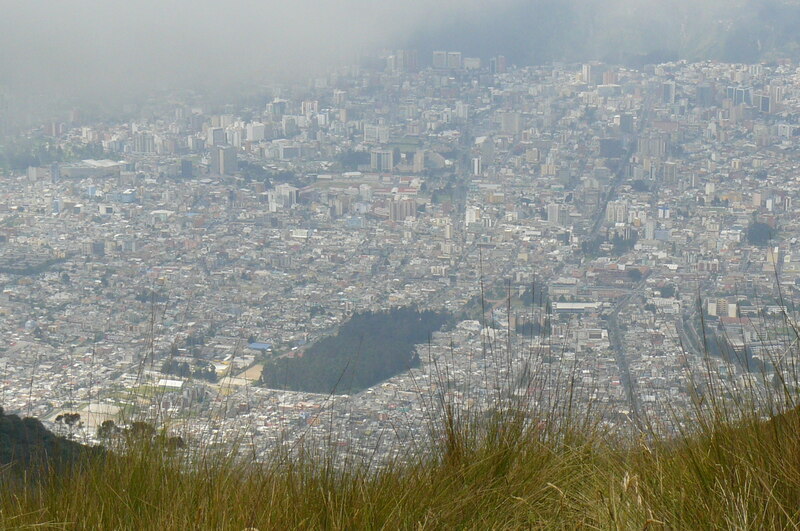 Some places just surprise you and Quito is one of them. The city has a very mixed reputation. Look on Tripadvisor and every few posts will concern personal safety, stories of scams, amazing feats of pickpocketing, robbery, mugging etc. So one can’t help having some feelings of trepidation on arrival. It didn’t help that our prearranged, prepaid for transport from the airport never showed up. Being in the travel services industry, this is something that really irritates me as I know how important first impressions are. Never mind, we’ll just get by on our own. We stayed at Cafe Cultura. It’s a beautiful old building in a great area with lots of character and it has many strong points, including the huge bedrooms and bathrooms. So within five minutes all our luggage was strewn around the two rooms everywhere. We stayed here for a total of five nights in three separate stays over a two week period so we got to know it pretty well. My review said: Beautiful hotel with flaws”. Sadly the longer one stays here, the more the flaws stand out, from spotty internet to slow service to the constant noise from the passages and entrance. Anyway we were fortunate to have the incredible Alfredo Meneses and his son Joaquin as our guides for 2 days. Just having a guide at all was new for us, but I cannot imagine someone with as much energy and pride in his city as Alfredo. He is wonderful, and Joaquin is not far behind. 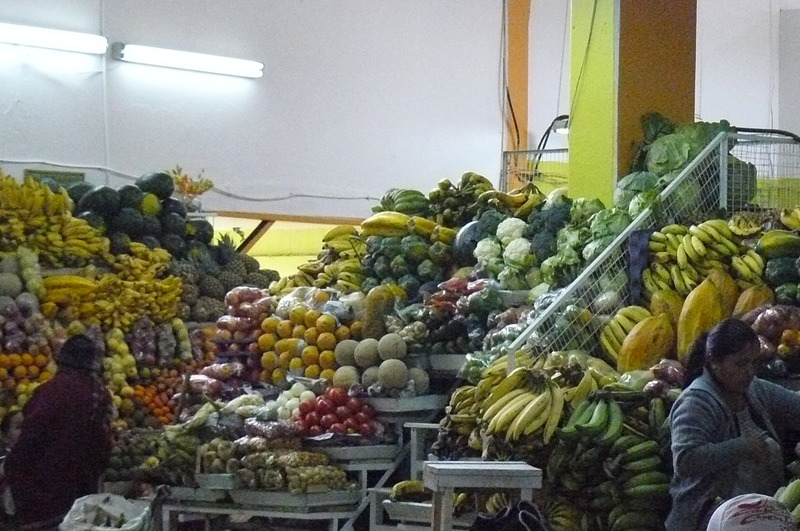 Not only did we do a standard tour of the Old Town (with its dazzling array of colonial buildings) and go up the Teleferiqo on Volcan Pichincha (sadly a white elephant attraction if ever there was one), but Alfredo took us to the Mercado Santa Clara (seemingly off limits for tourists) where we tried any number of local fruits and delicacies. 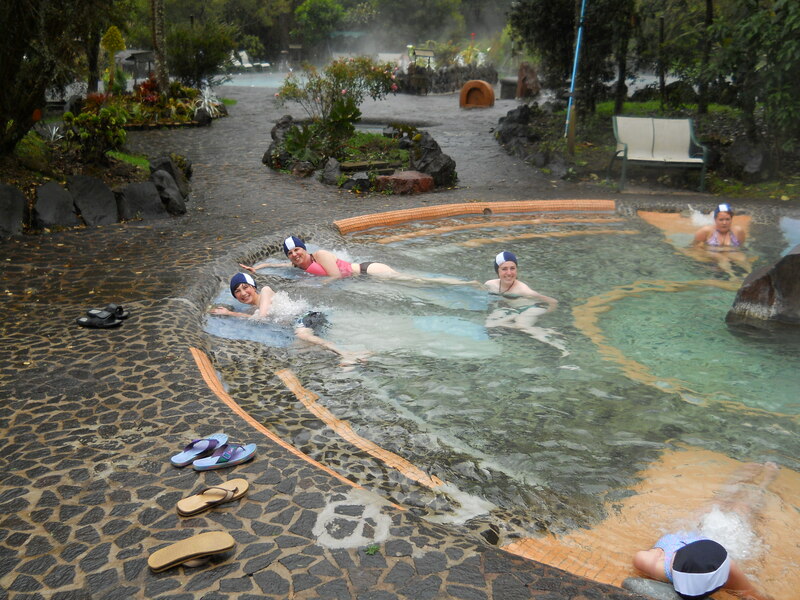 He also treated us to a day at the exclusive spa, Papallacta which was a real treat after so long on the road traveling. 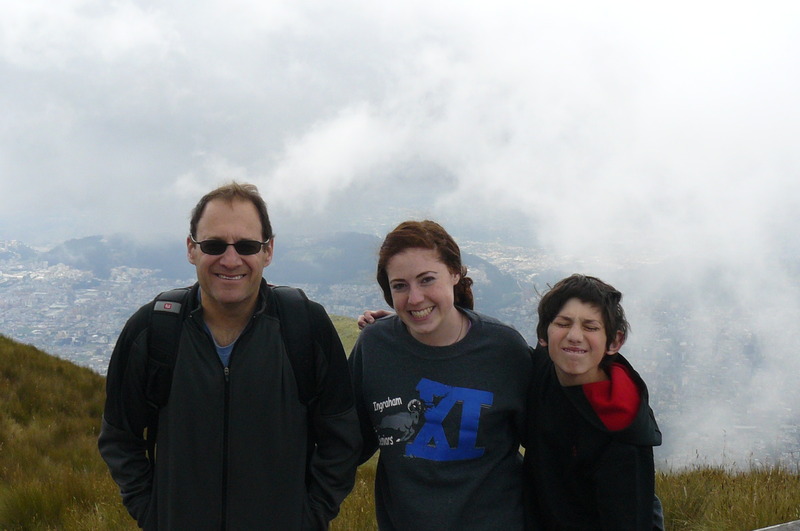 But what we really loved about Quito was that we actually got to know it, as opposed to just seeing the sights. We walked everywhere trying out different food, popping into shops and Dani, just turned 18, even tried a casino – for five minutes as we couldn’t breathe inside with all the smoke. Two memories will always stand out for me. 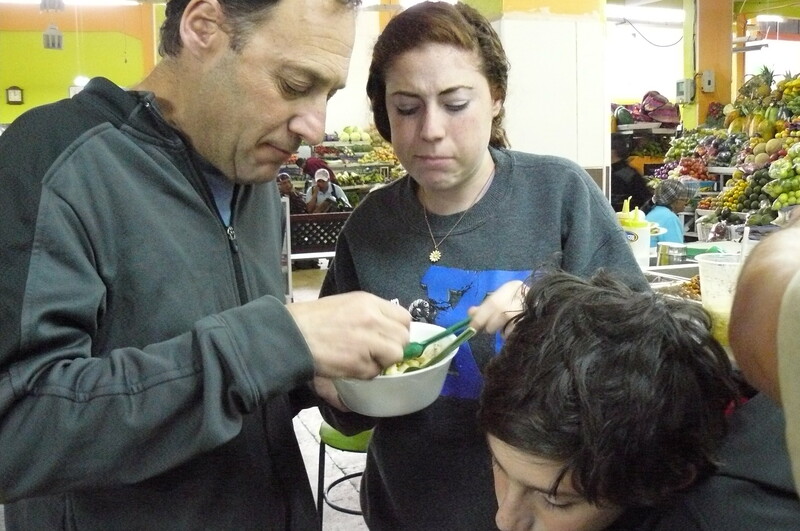 On our first day, Alfredo introduced us to a Quito curiosity, Yogurt and Yuca. These are small shops selling blended yogurt which you drink while munching on fresh yuca rolls. After one tasting we were addicted. This was definitely one of the most delicious local foods I have tasted anywhere in the world. And then, we were fortunate to be traveling during the Copa America, being played in Argentina, and despite Ecuador’s national football team’s ineptitude, the atmosphere was electric. 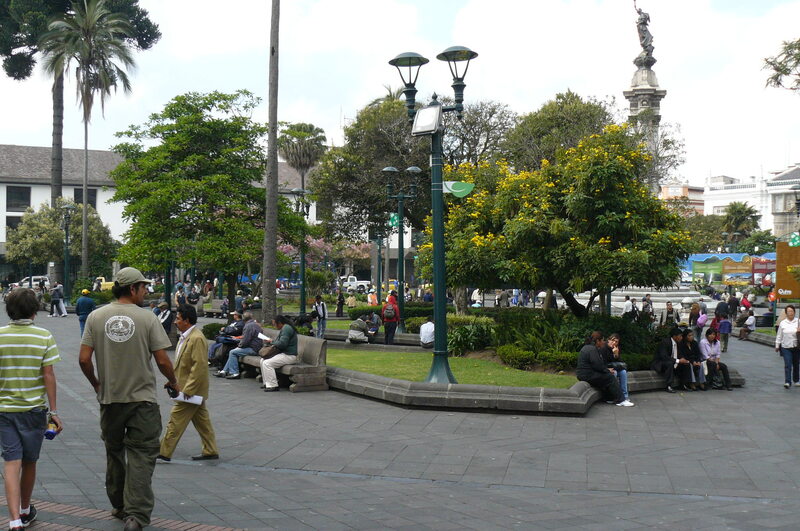 On a Saturday afternoon after some touring, Benjy and me sat in the square at La Mariscal and watched a huge game: Ecuador v Venezuela, actually 2 of the weakest soccer teams anywhere, but somehow elevated to a big game because of our location. Just great with fabulous atmosphere. 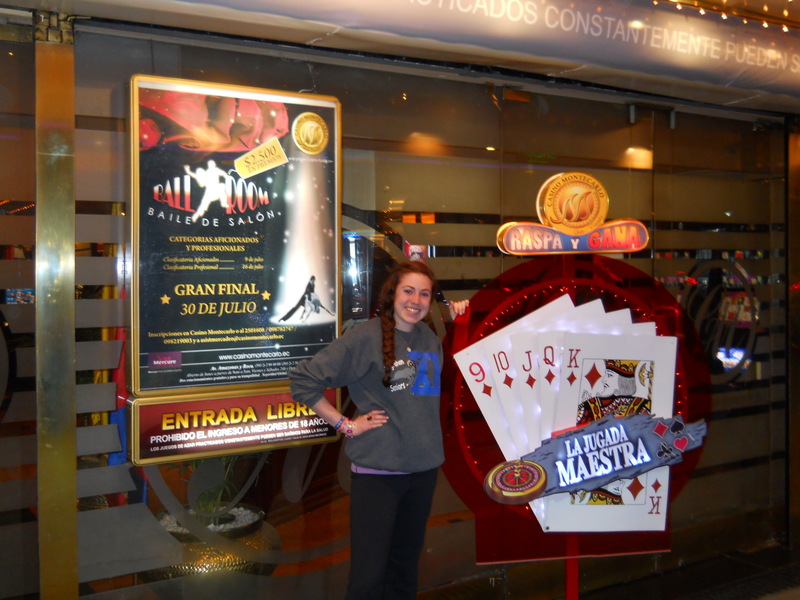 All in all, this was probably our favorite place of the whole summer trip (even more than Cusco). 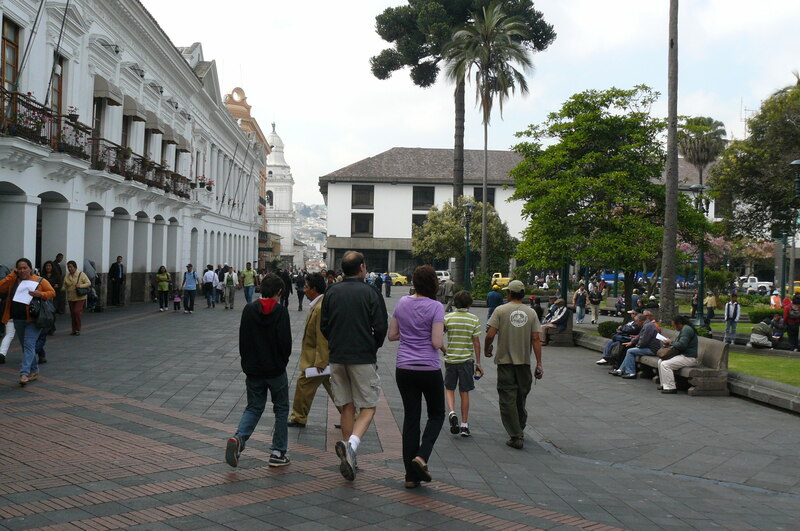 Quito just surprises and the more time one spends there, the more hooked you become. Try it, it’s worth it.